Marysville, WA – The Marysville School District has selected Deborah Parker to serve as the District’s Director of Equity, Diversity and Indian Education. Parker comes to the Marysville School District after serving as a member and Vice Chair of the Tulalip Tribes’ Board of Directors. In addition, Parker has run her own company which provided consultation to tribal nations, local, state, national and foreign government agencies and colleges and universities in developing effective communication, strategic management and policy. Her work has taken her around the world to places such as the University of Guadalajara, the Peruvian jungles of South America, and countries across Asia. 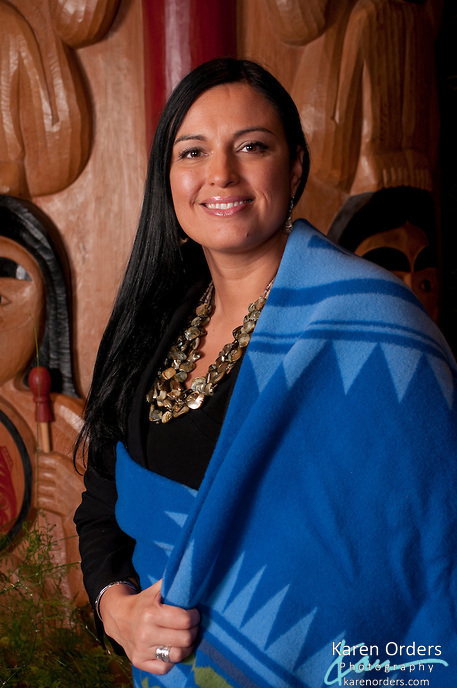 During her time as Director of the Residential School Healing for the Aboriginal Healing Foundation in British Columbia, the program received honors from the Canadian Parliament. A Marysville School District graduate, Parker holds a bachelor’s degree in American Ethnic Studies and Sociology with a focus on racial disparities from the University of Washington. She has extensive knowledge of the K-12 educational system and its policies, as well as experience improving equity and diversity in large, complex organizations. Parker’s many efforts and accomplishments include working to pass the Ethic Studies Requirement (ESR), advocating for the Violence Against Women Act (WAWA), mentoring minority students in math and science, as well as serving as the Education Committee Co-Chair for the Affiliated Tribes of the Northwest Indians (ATNI) and on the Board of Directors for the Smithsonian Institute Board of Trustees. In addition to a selecting a new Director of Equity, Diversity and Indian Education, the Marysville School District has selected Tracy Souza to serve as the new Assistant Director of Human Resources. Souza replaces Jason Thompson who was recently appointed Deputy Superintendent. Thompson will work closely with Superintendent Berg on educational finance, learning and teaching, and student achievement goals. Souza has worked in the Marysville School District since September 2000. For the past 15 years, she has served as program manager for the Early Childhood Education and Assistance Program (ECEAP). Under her leadership, the program received a rating of five on the Early Achievers’ Quality Rating Improvement scale. This is highest rating available, and Marysville’s is the only ECEAP program in the region to receive it. JoAnn Moffitt has been appointed to replace Souza as the Early Childhood Education and Assistance Program (ECEAP) Interim Manager at the Early Learning Center. Moffit brings much knowledge and experience to this position. Her work in the Marysville School District goes back to 1999 when she served as a family service provider for the early childhood education and program manager for ECEAP, then as a school counselor and intervention specialist for several years. Most recently, she served as a counselor at Shoultes Elementary School. “The Marysville School District continues to move quality, effective staff members into positions that build further success for our students and capitalize on our individual and team strengths,” said Marysville School Board President, Pete Lundberg. We are pleased with the direction our district is moving, look forward to the programs these individuals will take to the next level, and the positive impact their efforts will have on student achievement. The Marysville School District seeks to engage our community, inspire our students, and prepare our graduates. It is our belief that every child in our community deserves the very best educational experience possible, and every child has the potential to achieve success in life if given the right tools to do so. Learn more at www.msd25.org.